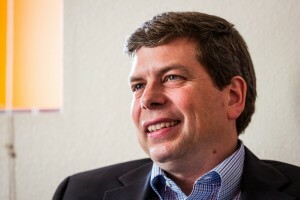 Home / Articles / Senator Begich’s Lies Exposed! Recently, Gun Owners of America alerted our Alaskan activists that their Senator, Mark Begich (D), was working behind the scenes to ensure that the overwhelming majority of Alaska’s citizens would not benefit from the reciprocity bill being considered by Congress. Senator Begich has just introduced his own reciprocity bill, S. 2188, and it confirms everything we had been warning about! Plus, it shows that Senator Begich was lying to his constituents, hoping that they would never investigate the veracity of his claims. In other words, the Begich bill will NOT protect Alaska non-permit holders — who are the MAJORITY of Alaska’s law-abiding citizens. Law-abiding citizens in “Alaska Carry States” who refuse to jump through government hoops to get a permit would NOT be able to carry nationwide under the Begich bill, but they would be able to under the Thune-Vitter bill. This is true, notwithstanding the fact that language which would protect BOTH PERMIT-HOLDERS AND NON-PERMIT HOLDERS got 58 votes in the Senate two years ago. And because of the 2010 elections, the Thune-Vitter language now currently has at least 62 Senate votes — a supermajority — in favor of it.